The Office of the Accountant General NWFP was established on 1st April, 1929 as a small Pay & Accounts Office and was responsible for Audit & Accounts of both Federal and Provincial transactions in NWFP. Subsequently it was re-designated as Comptroller, NWFP on 1st November 1931. It continued to function as such till July, 1973, when its status was raised to that of Accountant General because of the tremendous increase in the scope of its activities and load of work. Click here to view a list of officers who headed the office. Apart from NWFP and its adjacent Tribal Agencies, the audit jurisdiction of this office also covered Northern Areas (Gilgit & Baltistan). The audit of Northern Areas was, however, transferred in 1974 to the Accountant General, Pakistan Revenues Islamabad. Similarly, in the case of Frontier Irregular Corps (Scouts & Militia), the audit jurisdiction of this office extended to Baluchistan. 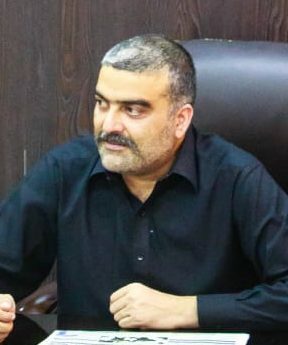 But on the formation of separate office of the Inspector General, Frontier Corps of Quetta in 1974, the audit of the Units in Baluchistan was transferred to the Comptroller, Baluchistan. 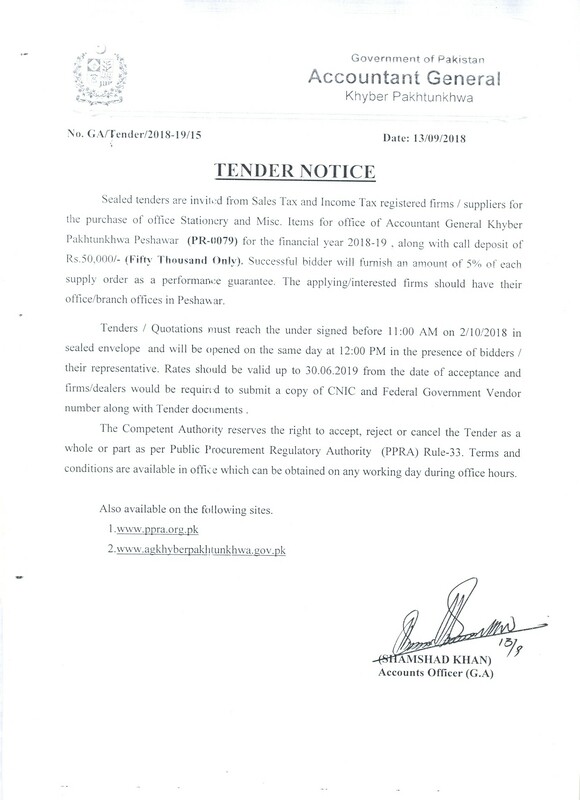 On the formation of one Unit, the audit of two adjacent Districts in Punjab (Attock and Mianwali) was transferred to this office from office of the Accountant General, Punjab. 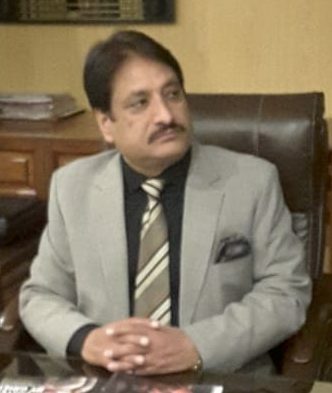 Correspondingly, owing to centralization of works audit in office of the Director, Works Audit, Lahore, the works portion was transferred from this office. These arrangements were reversed in 1970, owing to dismemberment of One Unit. During that period the audit of ex-States of Dir, Swat and Chitral was also taken over by this office due to merger of these States. The “District Accounts Office” scheme was introduced in NWFP in 1970. Initially it was experimented in one District i.e Mardan. By now there are 24 Districts and 7 Agency Accounts Offices, in NWFP and FATA respectively. Till July, 1979, this office was responsible for the audit and accounts of both Federal and Provincial transactions in the Province (including Agencies). On the formation of the Sub-Office of the Accountant General, Pakistan Revenues, in July, 1979, the audit and accounts of the Federal transactions were transferred to that office. 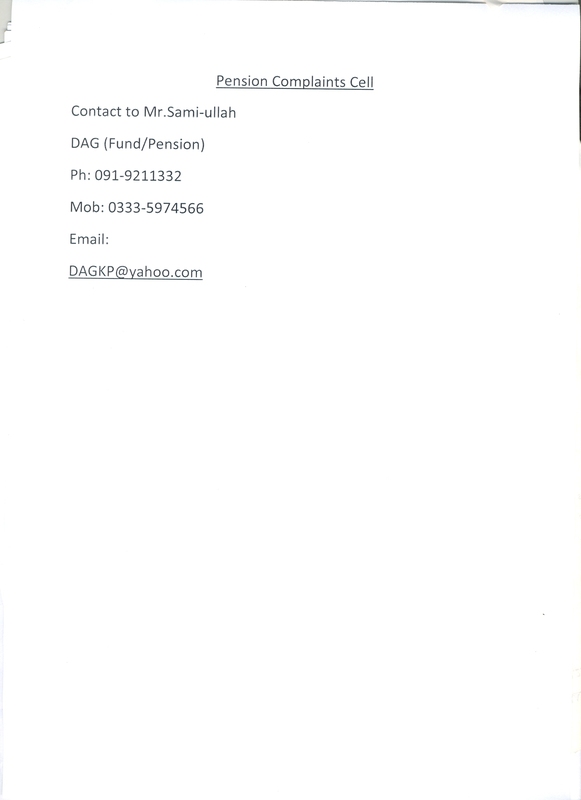 Office of the Accountant General, NWFP, till 30th June, 1989 was responsible for the local audit of accounts of the Provincial Govt departments and its autonomous bodies and corporations and performance of audit of projects etc. The audit reports too thereon were being prepared by this office. The function of local audit of accounts was however withdrawn from it and assigned to newly established office of the Director General, Audit NWFP in July 1989. All the accounting transactions both for the Federal as well as Provincial Govts were under the administrative and functional control of the Auditor General of Pakistan. 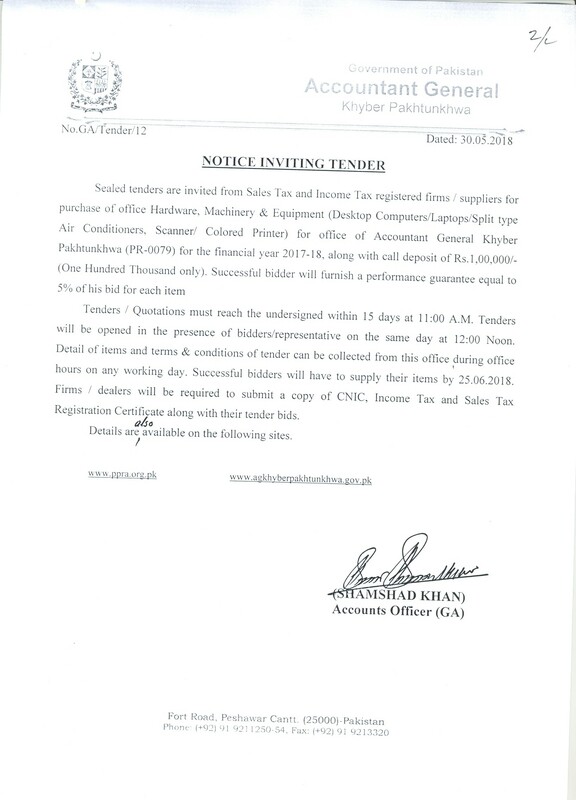 The separation of Audit & Accounts departments were promulgated vide Auditor General’s ordinance 2001 and Controller Generals Ordinance 2001, since then the Accounts Departments were independently kept under the newly created office of the Controller General of Accounts. Since the introduction of Devolution Plan on 14th August, 2001. it was a challenge for this office to respond to the needs within the existing human and financial resources. This office delegated preparation of accounts of 13 devolved departments at the District Accounts Office level, as required under the Local Govt Ordinance 2001.